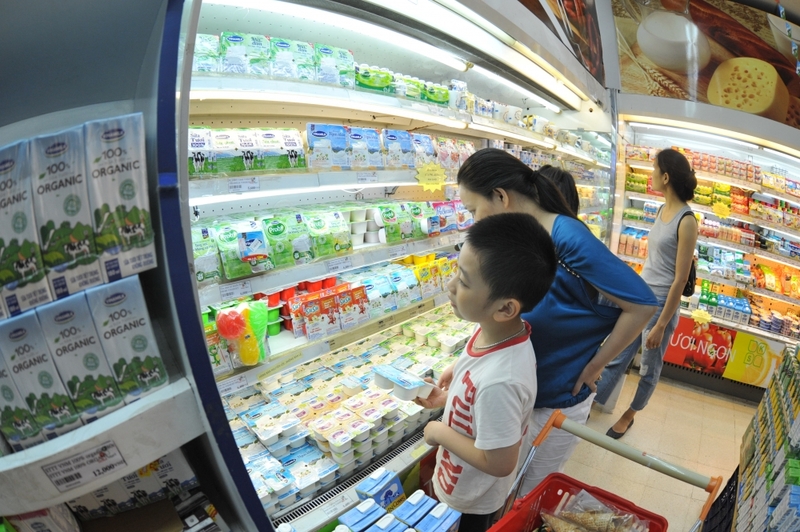 (VEN) - Almost 100 Vietnamese producers have been selected to receive the Vietnam Value title of national brand producers this year from among some 1,500 enterprises that registered or were nominated. The bi-annual Vietnam Value program aims to improve local businesses’ awareness of brands and ability to build, develop, and protect them. With its high requirements and strict reviewing and grading criteria, the Vietnam Value program has contributed to positioning Vietnamese brands in export markets over the past decade. Professor Nguyen Quoc Thinh, a consultant to the Vietnam Value program, said the number of businesses in the Vietnam Value program has grown, proving improved awareness in terms of the role of brand development. The revenues of 81 companies from among the 88 businesses granted the Vietnam Value 2016 title reached more than VND718 trillion in 2017 and export turnover totaled over VND70 trillion, allowing them to pay more than VND55 trillion to the state budget. They have contributed to creating jobs for over 300,000 workers. The Loc Troi Group with two national value titles annually exports about 2,000 tonnes of brown rice to Europe. The group has cooperated with a Chinese firm to establish two joint ventures with total capital of US$10 million to bring products to this large market. The Southern Steel Sheet Co., Ltd. has also won the Vietnam Value title. The company’s products have met quality standards such as JIS G3302, JIS G3321, ASTM A653/A653M and ASTM A792/A792M. Since 2016, the company has exported its products to many countries such as Thailand, Malaysia, Indonesia and Cambodia, European countries, the US, and Australia. During the 2015-2017 period, the company exported nearly 100,000 tonnes of steel products to the United States. At a press conference held last month ahead of the awards ceremony that was held Dec. 20, the director of the Vietnam Trade Promotion Agency (Vietrade) under the Ministry of Industry and Trade, Vu Ba Phu, said the selection is based on Interbrand’s set of criteria. The title is designed to encourage them to pursue the values of the program, including quality, innovation, creativity and pioneering capacity. The Vietnam Value program was launched in 2003, assigning the Ministry of Industry and Trade to cooperate with relevant ministries and agencies to implement it in order to build Vietnam’s image as a source of a wide variety of high-quality goods and services, and improve the competitiveness of Vietnamese brands in the domestic and international markets. 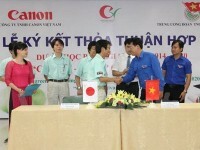 In accordance with these goals, the Ministry of Industry and Trade has focused on disseminating information about the program and national brand names; organizing training courses to raise brand awareness, strengthen business capacity, and promote brand development; and integrating some specific activities of the national trade promotion program into the Vietnam Value program to increase efficiency. The ministry has also coordinated with branding experts to provide guidance for building sectorial brands. Deputy Minister of Industry and Trade Do Thang Hai said the Vietnam Value program has lots of meaning and practical effects, one of which is to help businesses improve the competitiveness in the domestic market, as well as export markets. the world. The Vietnam national brand value has moved up two places from the 2017 ranking, to rank 43rd this year.